Brief Synopsis – After her divorce, a woman tries to raise her daughter properly while still trying to live her own life the way she wants to. My Take on it – This is an 80’s film that I had completely missed and when I saw the cast list and that it was directed by Leonard Nimoy, I knew I had to give it a try. I really enjoyed the way that this film deals with it’s tricky subject matter because it helps us understand and ponder the dilemma brought forth. The way that they present the story is great because we get to see a dedicated single mother who besides loving her daughter dearly wants to find a way to also move on with her life. We are clearly presneted with the choices she must make in life and by the end we completely understand what she must do. 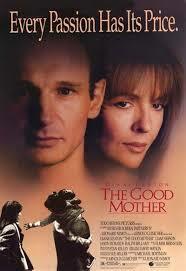 Diane Keaton is superb in this lead role and shows us once again how passionate an actress she can be. The supporting cast is great with Liam Neeson, Teresa Wright, Jason Robards and Ralph Bellamy all giving us great performances. Nimoy does a wonderful job directing his sole purely dramatic film. Bottom Line – Love the way this film deals with its subject matter by giving us such a dilemma to ponder. The idea that a divorced woman must juggle her life as a mother and as a woman is a great theme for this film and we get a clear sense of what she must go thru. Keaton is superb in the lead role here and is supported very well by the other characters. Nimoy does a great job directed his only pure drama. Recommended! Appreciate the introduction to this film, Rob.